Join Us October 26th, 2019! Are you ready to be #FEARLESS this October? 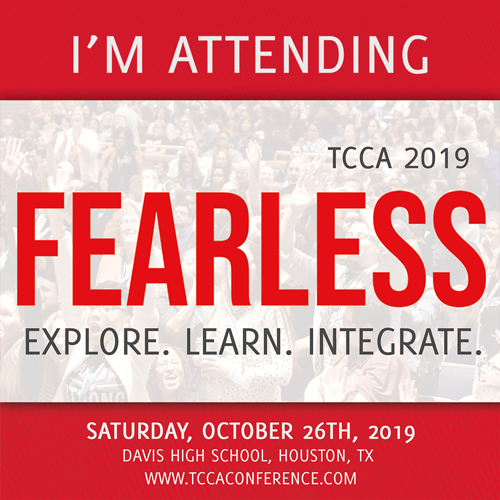 We are so excited to have you attend TCCA 2019! Remember, space is limited so be sure to secure your spot today. We can’t wait to see you. Make sure to spread the word after you register. 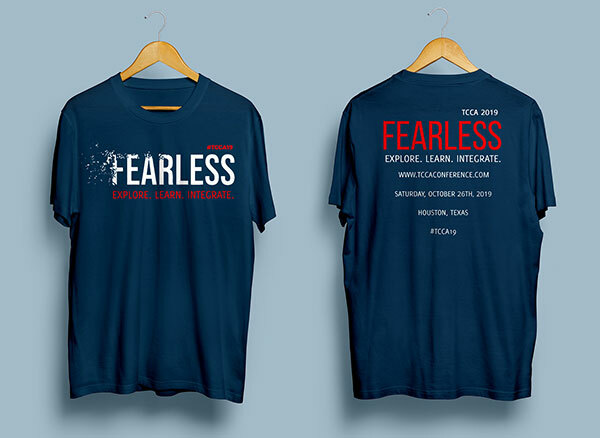 Now is your chance to get a limited edition TCCA 2019 FEARLESS T-Shirt. 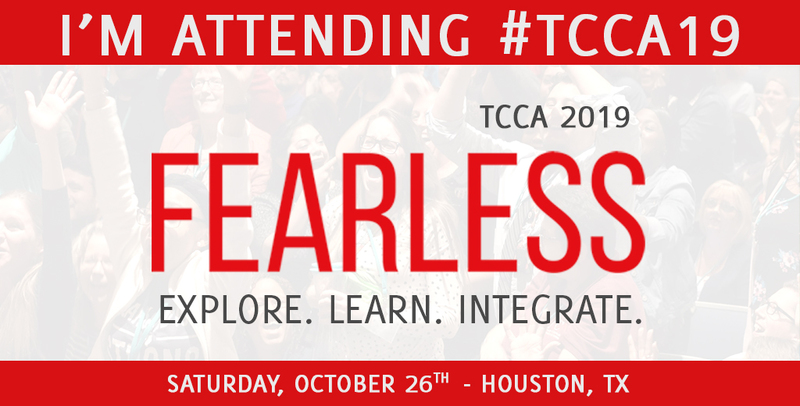 Conference shirts will be provided to everyone who makes a $20 donation to TCCA. All funds go directly back into the conference and our students.